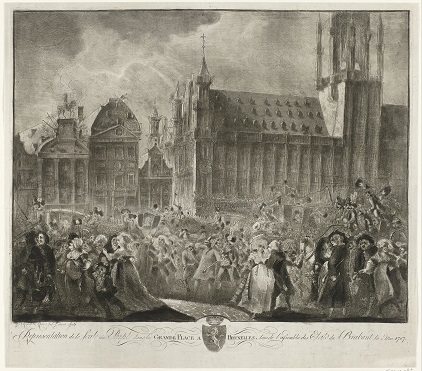 This project investigates ideologies and manifestations of nationhood and patriotism in the (First) Belgian Revolution (1787-1790). Simultaneously, it seeks to place that upheaval in the Austrian Netherlands in the broader constellation of transatlantic and transregional revolutions that rocked the North Atlantic-European world at the end of the eighteenth-century. In particular, and taking cues from Janet Polasky’s latest book Revolutions Without Borders: The Call to Liberty in the Atlantic World, the project focuses on how ideas moved between and among revolutionaries in the United States and Britain, the Dutch United Provinces, France, and the Austrian Netherlands.